As you may know by now, the Pentax 645 is one of my favorite camera systems. Now that I've been shooting the film bodies for about five years, I'd like to share my recommendations for the ultimate load out. Lens choice can be a hotly contested discussion no matter what camera system is being discussed. Also, it's a very personal decision. Many factors must be taken into consideration when selecting the proper lenses. I'll be approaching this from the Landscape Photography angle, but can be applied to most travel photography. 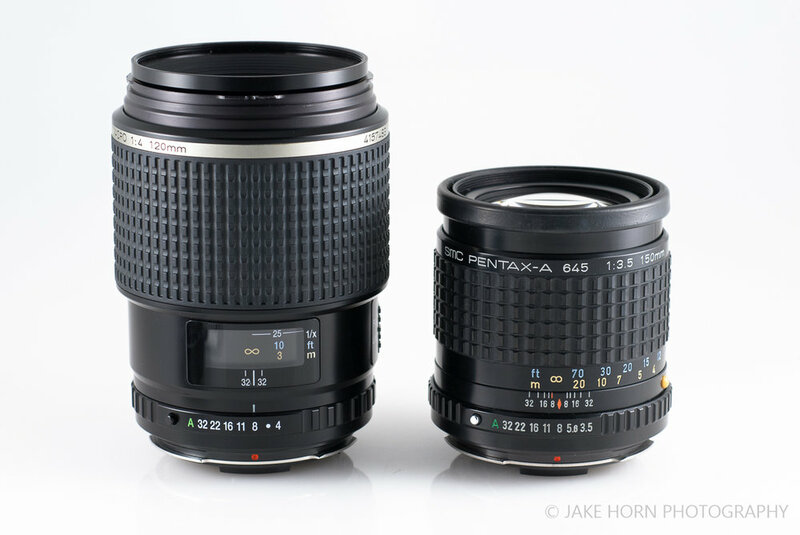 PENTAX 35mm/4: This is a top notch wide angle for any type of photography. If I was shooting urban and street environments, I'd go with the FA (i.e. autofocus) version. For landscapes, the A version (i.e. manual focus) works great. You can check out my detailed review here. PENTAX 75mm/2.8: Such a great all purpose workhorse. Small, light, & economical. This lens is close to a 50mm angle of view in 35mm terms. Not sure why photographers shy away from using a standard focal length for landscapes, but I rather like the look. PENTAX 120mm/4 Macro: Rounding out the three lens system is the medium telephoto that doubles it's usefulness with close focusing abilities. This also happens to be one of the best performing lenses in the 645 line-up (for you pixel peepers). For locations demanding more reach, I swap this out for the 150mm/4. 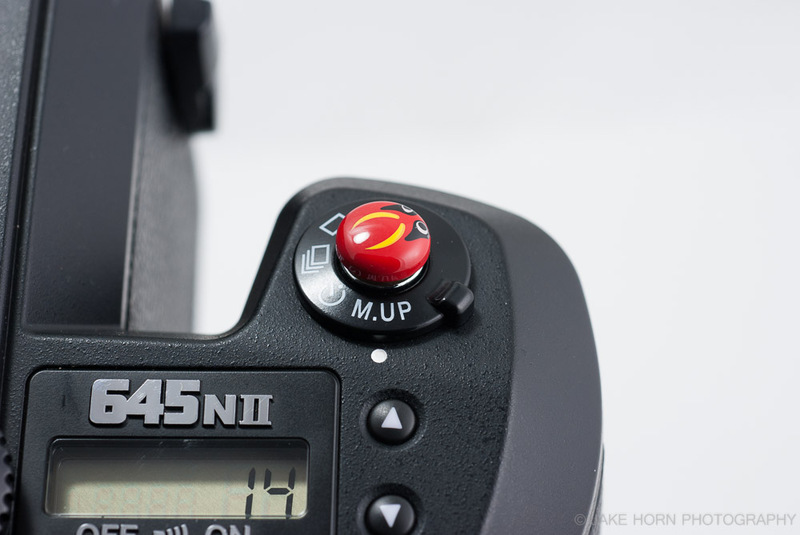 You can find my review of the 150mm here. 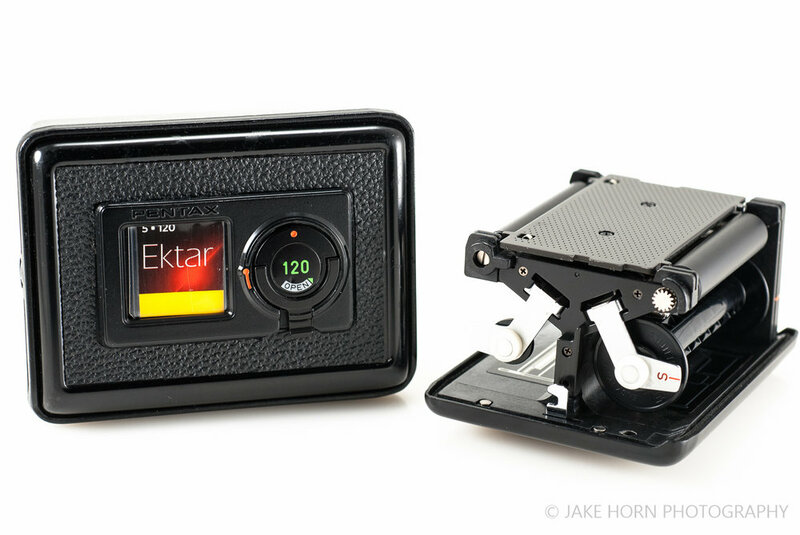 This is all well and good for the film bodies, but what about the Pentax 645D and 645Z? I'd probably keep the same equivalent focal lengths by switching to the 28-45mm and keeping the 120mm/4. Pentax made a 25mm to accommodate digital shooters, but had some quality control issues and quickly had to release a second version. This second version was pulled from production quickly as well, so I suspect manufacturing & design issues persisted. There's not much choice in film backs for the 645. You've got the 120 and 220 film versions. Besides the label, the only significant difference is the indicator bracket on the back is rotated 90 degrees, which tells the body whether it should shoot 15 frames or 30. Some people claim that the film back plate is slightly different due to the roll thickness difference (120 has paper backing, while 220 ditches the paper to save space). 220 backs can be found for much less than the 120's, but I haven't owned one so I'm unable to measure any reported differences. I recommend getting at least one spare back w/cover. It can be handy to have a second roll ready while chasing dynamic light. This is also a tremendous help when the weather's cold since it's tough to spool medium format film with cold hands or gloves. First up, straps. The Pentax 645 and 67 bodes had a special lug system. While nicely made, these are now becoming somewhat of a commodity. For the digital 645's, Pentax switched to a standard eyelet system that you can attach snap rings to (similar to Nikon, Leica, etc.). You do have the option to get a Pentax branded strap/lug combo used. Any second hand retailer like B&H or KEH carry these. You can also get just the lugs and fit your own strap. Max width is 17mm, so keep this in mind when shopping around. I decided to go with a customized option by sending lugs into Tap & Dye to be used in a custom leather strap. This is the most expensive option, but definitely the best quality. As far as bags go, it can get a bit tough. The cube-like shape of the body makes it difficult to find a shoulder bag to accommodate it with film, lenses, etc. When I'm walking about, I opt to carry the camera around my shoulder and my other gear in my Domke F802. For hiking, a backpack is certainly the way to go. I have a short list of my favorite accessories for the Pentax 645. There's been a ton of trial and error with what I bring, but the items below now make every trip I make. Pentax 645 to Nikon F Body Adaptor: Very handy to use a small Nikon as a spare body. *I'll touch on batteries separately. As with any camera, always bring a spare set! The body is already quite heavy, so go for the lighter, better performing lithium-ion AA's. If you are using these in the camera and for a spare set, you'll end up saving a total of 107 grams over standard alkalizes (for 12 batteries). To keep my batteries separated for airline travel, I place my spares in plastic holders easily found on Amazon. They prevent batteries from rolling all over your bag. 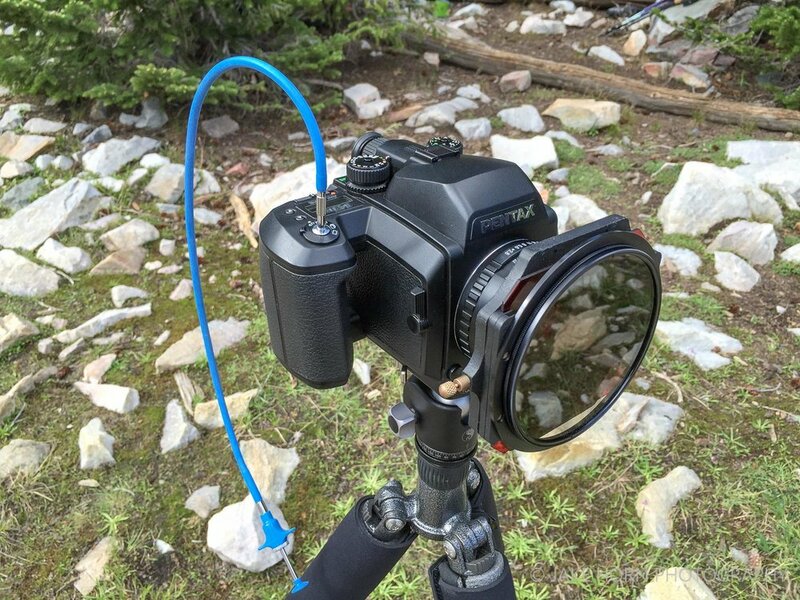 If you plan on shooting handheld, you won't need tripod plates right away. However, if most of your work gets done on a tripod, invest in two tripod plates. I have the Really Right Stuff model (B645D), but I also hear good things about the Kirk-PX-173. Both of the plates are universal on Arc-Swiss style quick release heads. At around $100 for a pair, it may sound steep, but having the second plate is extremely handy when capturing both orientations of the same shot.